Talismanic Mahendra Singh Dhoni stumped every cricket fan on Jan. 4 when he informed the Board of Control for Cricket in India (BCCI) that he is stepping down as the skipper of India’s One-Day International (ODI) and T20 International sides, ending a trophy-filled era. The 35-year-old had already retired from Test cricket in December 2014 but continued to lead the national team in the shorter formats of the game. Dhoni, who had led India to the International Cricket Council (ICC) World T20 title in 2007, to the World Cup victory in 2011 and lifted the Champions Trophy in 2013 also took India to the zenith of the Test rankings during his tenure. He is the only captain in world cricket to win each of the ICC trophies. The Ranchi wicketkeeper-batsman will, however, be available for selection for the three ODIs and T20Is against England, starting January 15, the BCCI informed. “Mahendra Singh Dhoni has informed the BCCI, that he wishes to step down as the captain of the Indian Cricket Team from the One Day Internationals and the T20 Internationals formats of the game,” a statement from the board read. The BCCI’s senior selection committee was to meet on Jan. 6 to select the team for the limited overs series against England. “Under his leadership, Indian team has touched new heights and his achievements will remain etched forever in the annals of Indian cricket,” he added. Dhoni, who had captained India to 110 wins from 199 ODIs and 41 wins from 72 T20Is, made his international debut in 2004. He immediately stamped his authority at the international stage when he smashed 148 in only his fifth match, against a Pakistan attack that didn’t know what had hit them. He quickly rose up the ranks in Indian cricket to take the reins of the national T20I side in 2007, before becoming the ODI captain after Rahul Dravid relinquished the post. He eventually ascended to full-time Test captaincy once the then Indian captain and current India coach Anil Kumble retired. 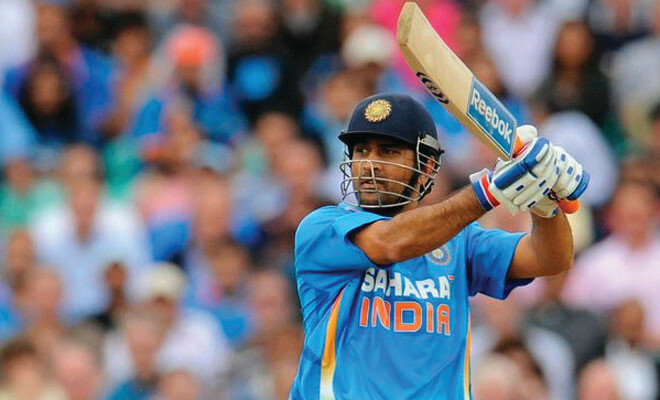 Dhoni’s biggest triumph was winning the World Cup in 2011, which India won after 28 years owing to his exemplary batting display in the final and calm and methodical leadership, despite the added pressure of playing at home. He also led the side to the final of the 2014 World T20 in Bangladesh, in which India lost to Sri Lanka. Dhoni successfully led India to the 2015 World Cup semi-final, where they lost to hosts and eventual champions Australia, effectively ending India’s 11-match winning streak in the World Cups. During the course of the tournament, he also became the first Indian captain and third overall to win 100 ODI matches. 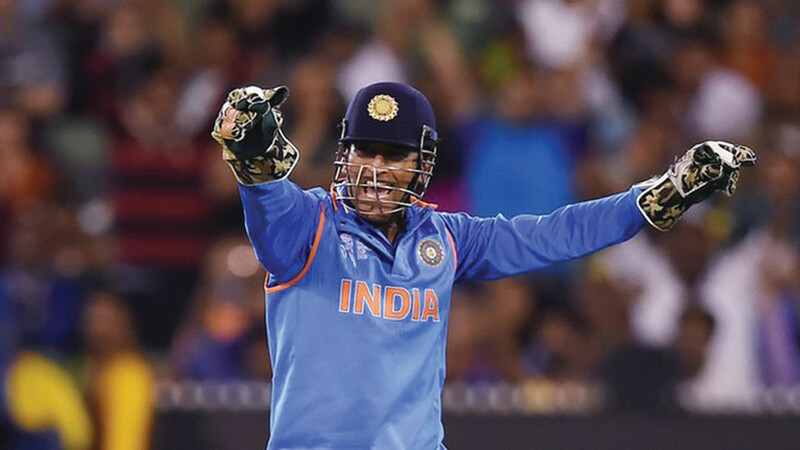 In 2016, Dhoni led India to the Asia Cup T20 title by beating hosts Bangladesh in the final and also guided the side to the semi-finals of the World T20, where hosts India lost to the eventual champions – the West Indies. He also holds the record for most matches as captain of an international side, with 331 games across formats. His last series as captain came against New Zealand at home, where he led the Indian side to a 3-2 series win. Dhoni also led the now-defunct Chennai Super Kings (CSK) franchise, one of the most successful teams in the history of Indian Premier League (IPL), to win back-to-back titles in the years 2010 and 2011 and also the Champions League T20 in the years 2010 and 2014. Although the next captain was not announced, Virat Kohli, currently captaining the Test team, is the likely front-runner to replace Dhoni. Meanwhile, former BCCI president Anurag Thakur hailed Dhoni as “one of the finest leaders”. “Hey @msdhoni yuv been one of the finest leaders of Indian Cricket @BCCI, led the team to great heights & inspired so many across countries!,” Thakur wrote on Twitter. Thakur was joined by noted cricket commentator Harsha Bhogle and 2012 Olympic bronze medal-winning shooter Gagan Narang in highlighting Dhoni’s achievements as India captain. Bhogle also commented that this was a selfless move. “Clearly Dhoni thinks the moment has come. Thought he would quit after the Champions Trophy, but this is a selfless move. *Made his test debut against Sri Lanka in 2005, scoring 30 in the rain-hit match in Chennai. *He went on to play 90 tests for India, amassing 4876 runs at a 38-plus average, hitting six centuries and 33 fifties. He also took 256 catches and effected 38 stumpings. *Dhoni’s highest test score of 224 came against Australia in February 2013. *The wicketkeeper-batsman made his ODI debut against Bangladesh in late 2004 and was run out for a first ball duck in the Chittagong match. *Dhoni has played 283 ODIs, scoring 9110 runs, averaging 50.89 with an 88-plus strike rate. He has hit nine centuries in this format to go with 61 fifties. * Known for his habit of sealing victory with a six, Dhoni’s trademark “helicopter” shot has amused fans who have also hailed the unflappable temperament of ‘Captain Cool’. *He surpassed retired great Sachin Tendulkar as the highest-earning Indian sportsman but remains a fiercely private person. *He has also played 73 Twenty20 Internationals, scoring 112 runs, averaging nearly 36 with a 122 strike rate. *Under his captaincy, India won the inaugural Twenty20 World Cup in 2007, the 50-over World Cup in 2011 and remained the number one test team for 18 months from December 2009. *He received Rajiv Gandhi Khel Ratna, India’s highest sports honur, in 2007.